Enjoy the peaceful surrounding of The Great Smokey Mountains National Park like setting in your very own Creek side Retreat yet minutes away from Pigeon Forge. 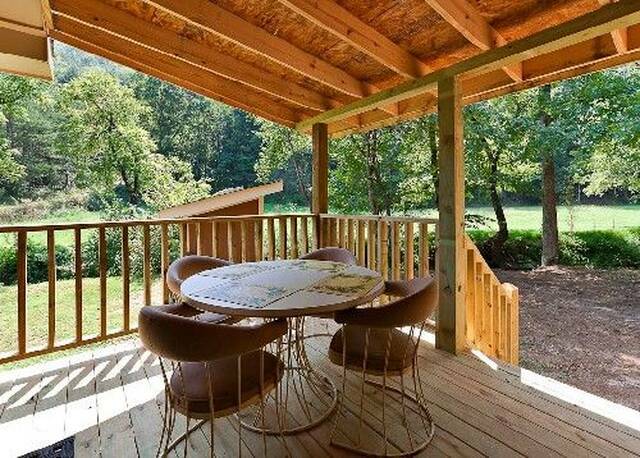 Just imagine.... a tranquil mountain setting, relaxing on the covered back porch, enjoying that first cup of coffee in the morning. 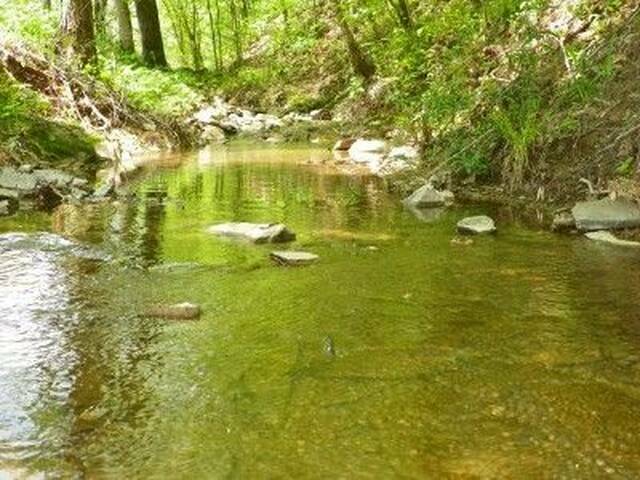 Listen to the sounds of nature, the geese and ducks sound a cheery hello as they land for their early morning dip in the tranquil mountain creek. 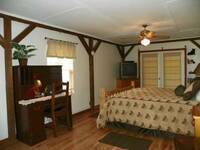 Willow Brook Camping Cabin is the perfect budget vacation rental whether for a romantic getaway or family vacation and features over 1300 sq feet of comfortable living area. 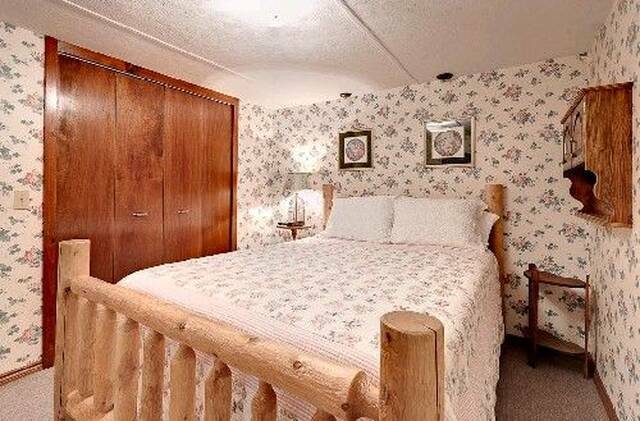 Our camping cabin features a king size log bed with deep plush mattress, internet, phone with unlimited US long distance and cable TV. 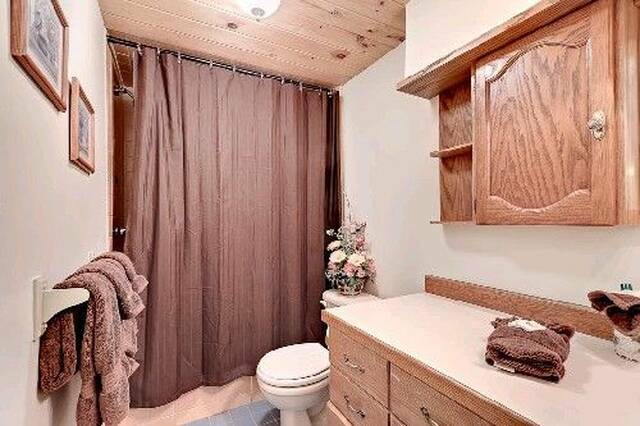 Pamper yourself in the spacious master bath which features a Jacuzzi tub. 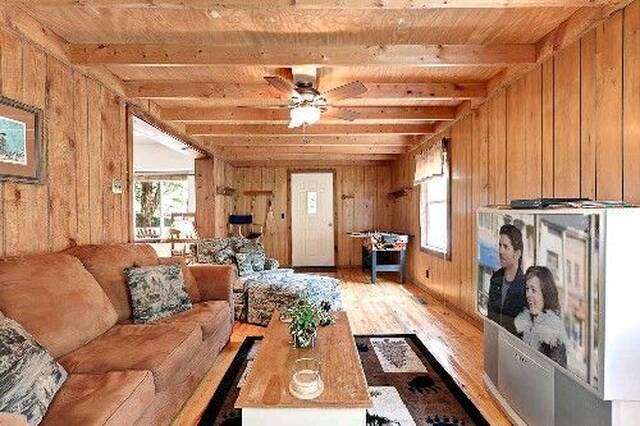 The living dining area features a unique dining table for 6, big screen TV with cable and futon. 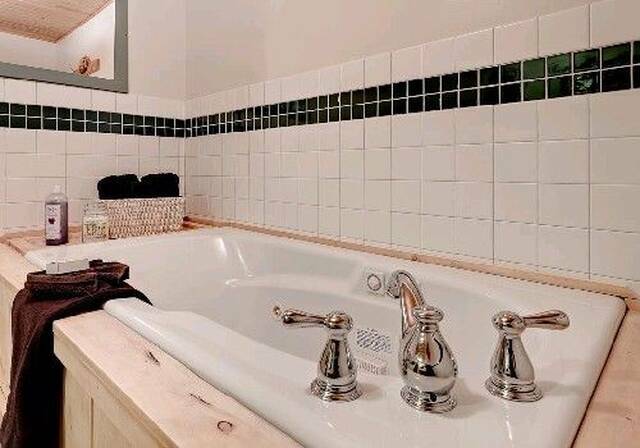 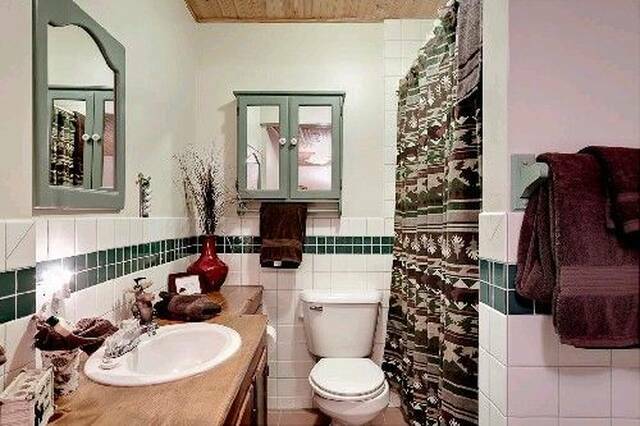 There are 2 full baths making this an ideal vacation rental for couples or small families. 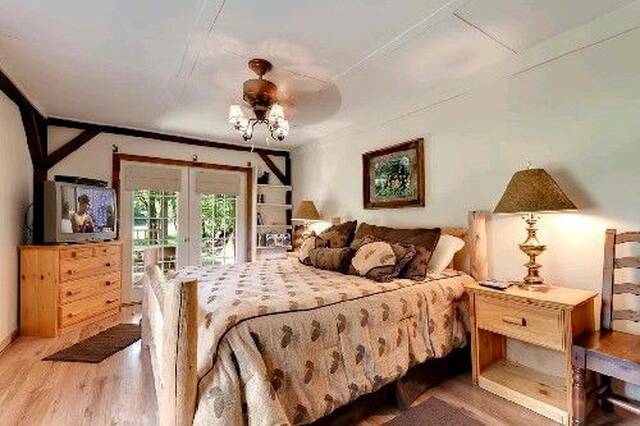 The second bedroom features a Queen log bed. 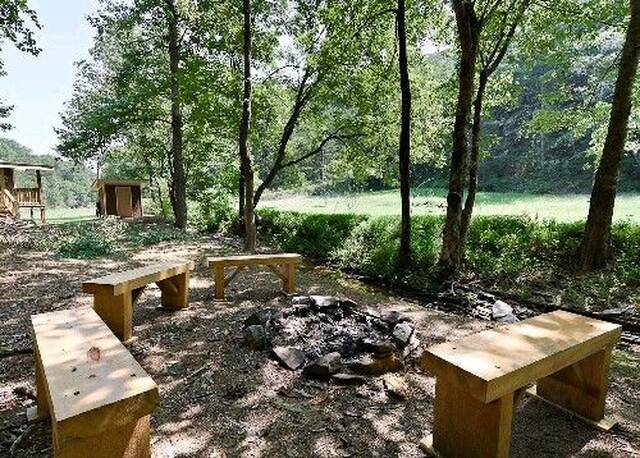 Prepare cost saving meals in your own fully furnished kitchen or use the charcoal grill for a tasty treat. 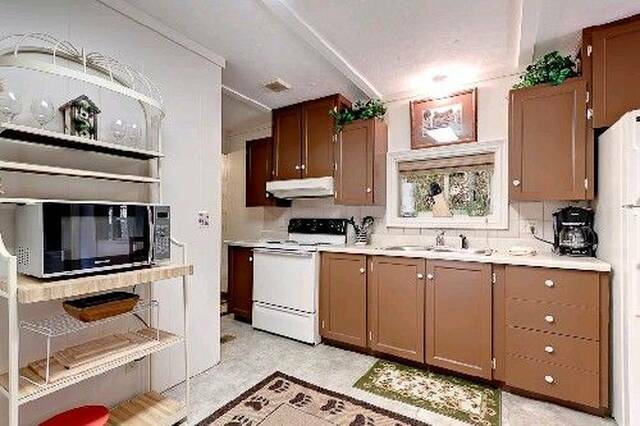 The washer and dryer are great time savers~ essential for extended stays. 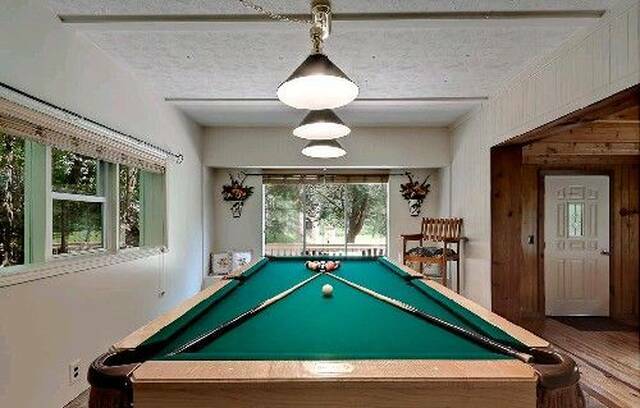 Adults and kids alike will be entertained with the pool table, foosball or PlayStation. 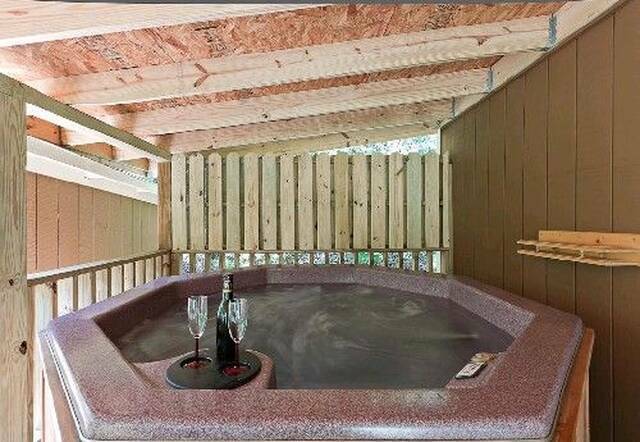 The bugs won't bite as you relax in your hot tub on your covered porch easily accessed from your master suite or creek and fire pit area. 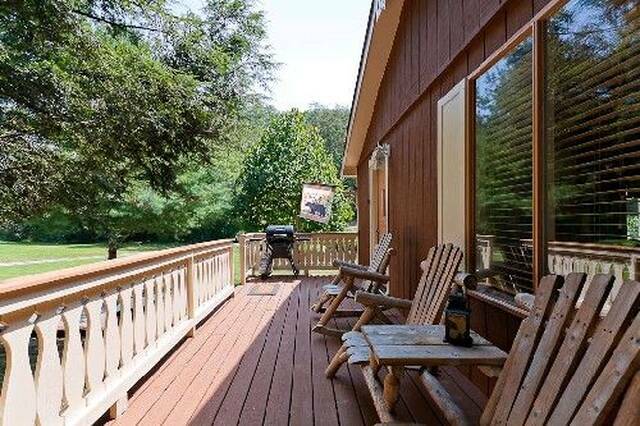 Unwind on the front porch as you watch wild turkeys, squirrels, geese and even an occasional bear wander by in the country meadows. 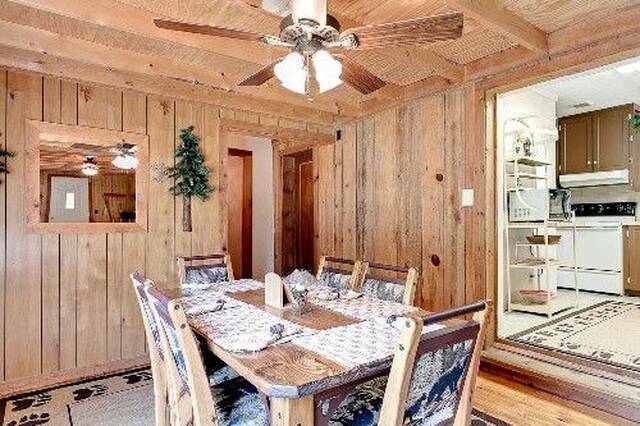 Just then you realize, "I have chosen the ideal location for my Smoky Mountain Willow Brook Vacation!" 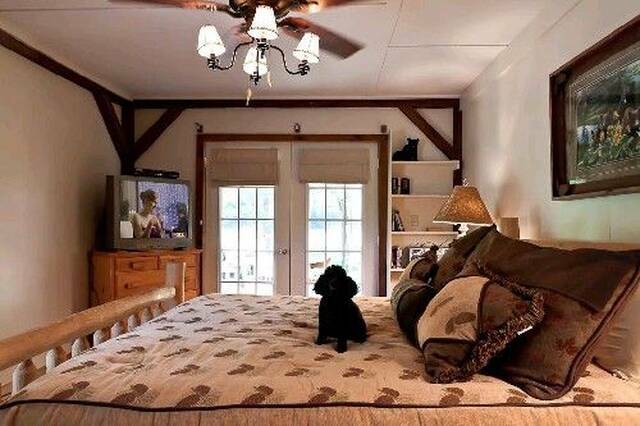 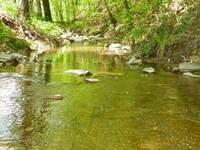 "Willow Brook" welcomes small pampered pets in this "Pet Friendly Pigeon Forge Cabin Rental".